*Makeup Training Courses for beauty schools are available upon request (Course completion certificate will be provided). Please call or send an e-mail for details. *The price can vary depending on the hair amount. - A non-refundable deposit of $200 for all wedding bookings must be received to secure the wedding booking. - No services can be booked until the deposit has been received in cleared funds. - $500 minimum charge for on-location services. - 20% of gratuity will be automatically added to bridal parties but if you would like to add more, it will be greatly appreciated. We accept CASH, CHECK, or Credit Cards (VISA/Master/Amex/Discover) with NO SERVICE CHARGE. Please arrive on time for your appointment. More than 10 minute late appointment will be automatically canceled with no exceptions. Please understand that we schedule appointments according to our specialists’availability and specialty. If you are running late, please let us know ASAP and we will do our best to accommodate you. Arriving late will likely limit the time allocated for your service; it will lessen the effectiveness and most importantly your pleasure and enjoyment. As a courtesy to all clients, our treatments are completed as scheduled. 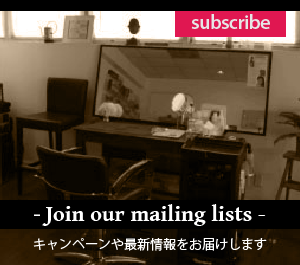 For our other salon policies, please review "Contact" page.